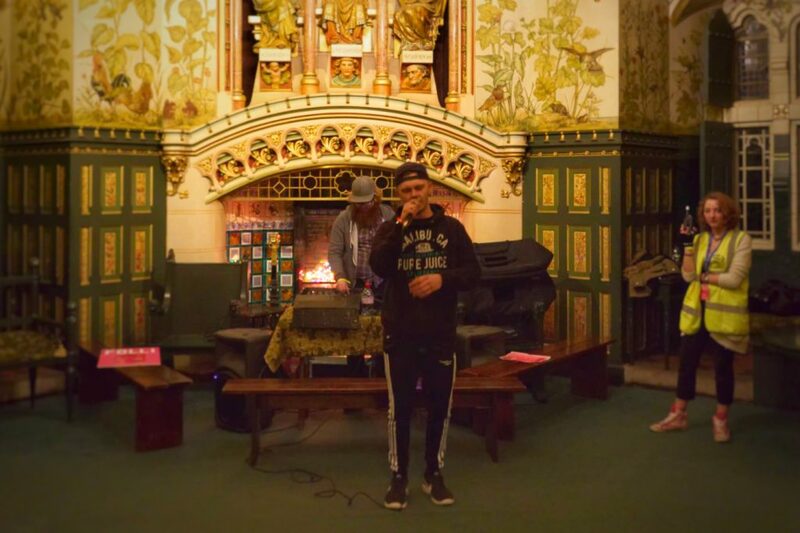 70 acts performed over 5 stages in the amazing surroundings of Castell Coch on Friday night. 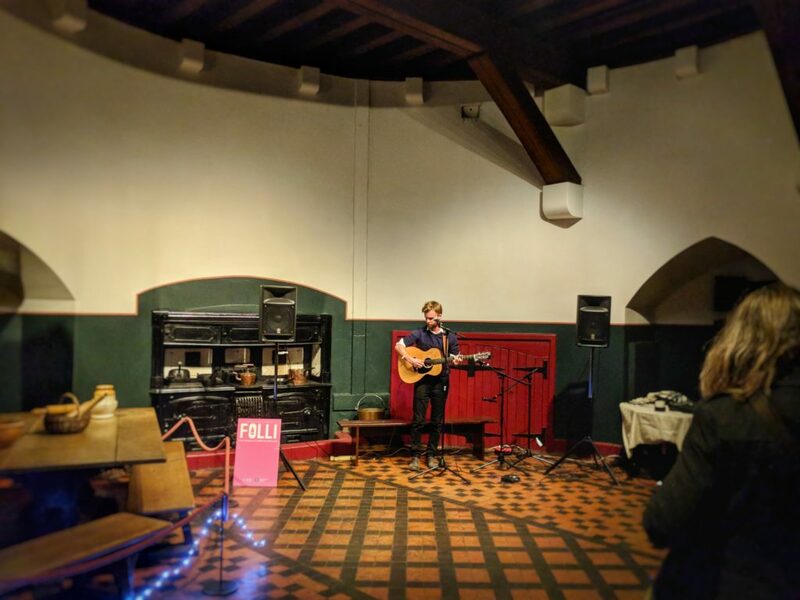 Billed as a “Youth takeover of Cardiff’s fairytale castle”, Folli Fest was the first event of its kind to take place in the castle. 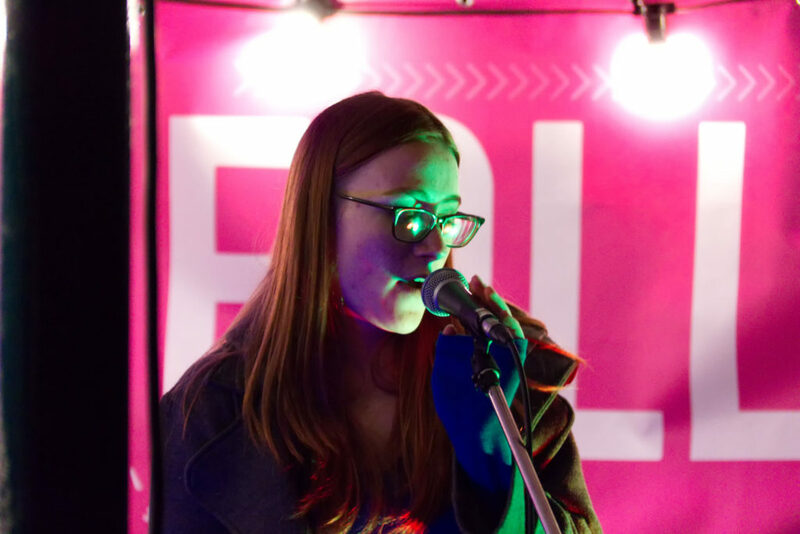 I went along to experience this unique evening and was blown away by the talent on stage and the hard work of the organisers and volunteers. I could hear music emanating from the castle as I walked up Mill Road and there was an eerie green glow as I walked up the hill. The car park hosted the bandstand, first aid tent, pizza stall and a coffee van. I listened to “Main Offenders” opening the bandstand then ventured inside. 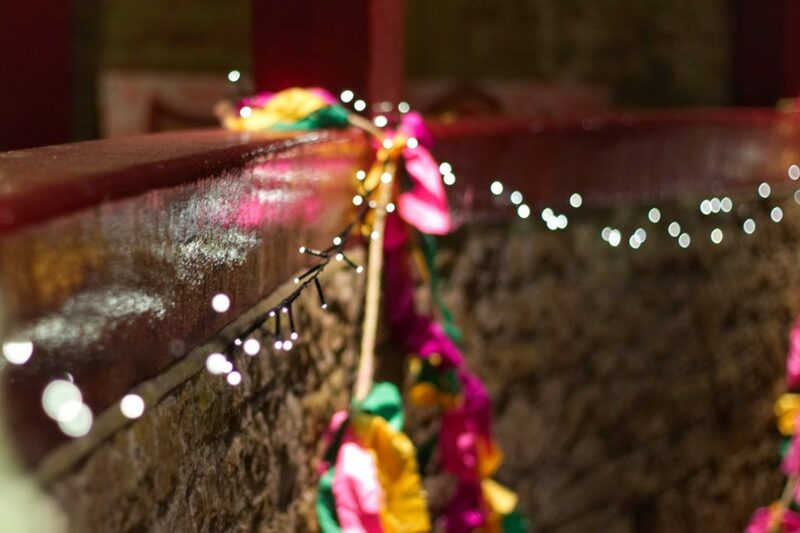 The arches in the courtyard were lit with multicoloured lights and the balcony was dressed in ribbon and fairy lights. The rest of the stages were set up in the kitchen, drawing room, well tower and Lady Margaret’s bedroom. There were so many stages and acts I couldn’t get to everything but I managed to see Just Jaxx, Noah Bouchard, Araby, Selena in the Chapel, Curious Orange and Dirty Alex. It was brilliant being able to see such diverse music in such a special place. 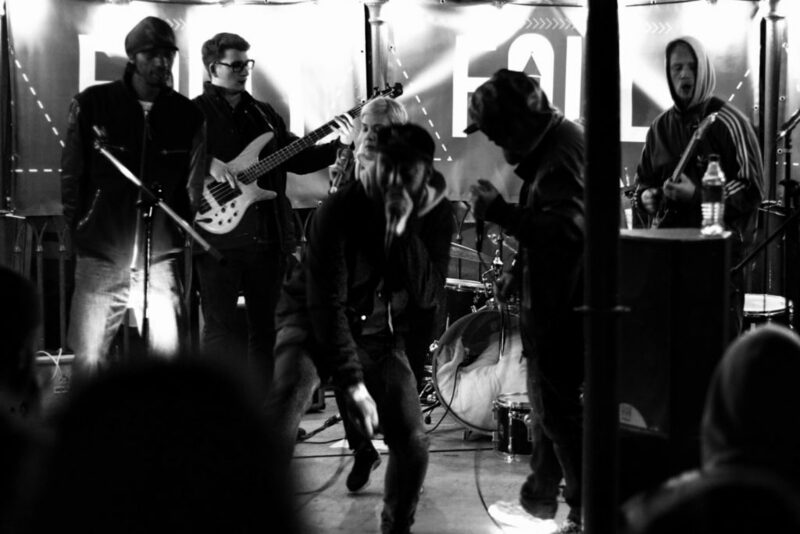 There are plans to do it again so make sure you follow us to stay up to date. 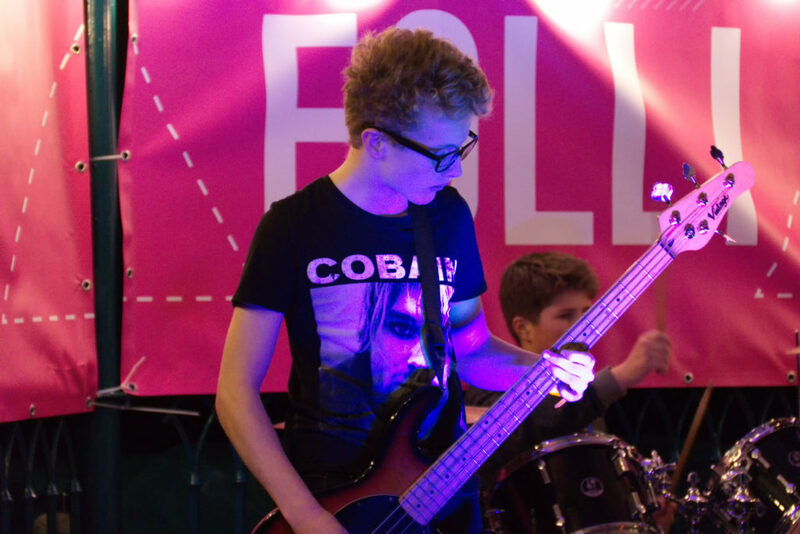 Dirty Alex closed the festival with a rousing performance on the bandstand. The rain had set in but the crowd were under cover and loving the music. 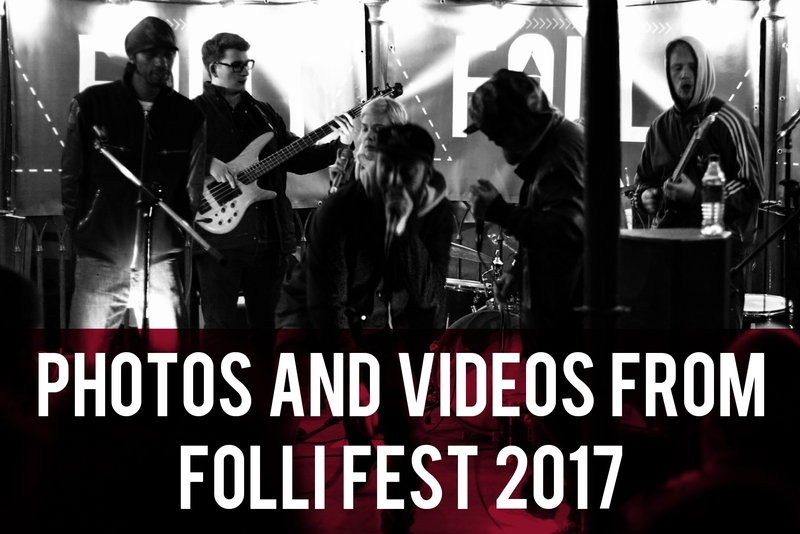 You can follow Folli Fest on Twitter, Facebook and Instagram for more photos and information about the festival.